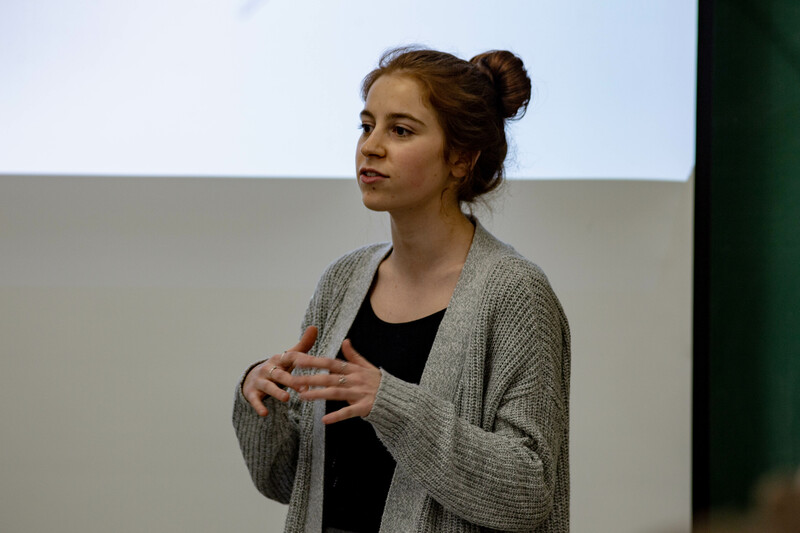 Proposed standards that would tighten alcohol regulations on the University of New Brunswick campus were met with pushback from the Student Union during a consultation meeting on Sunday. UNB has an existing alcohol policy in place, but those regulations are several years old. 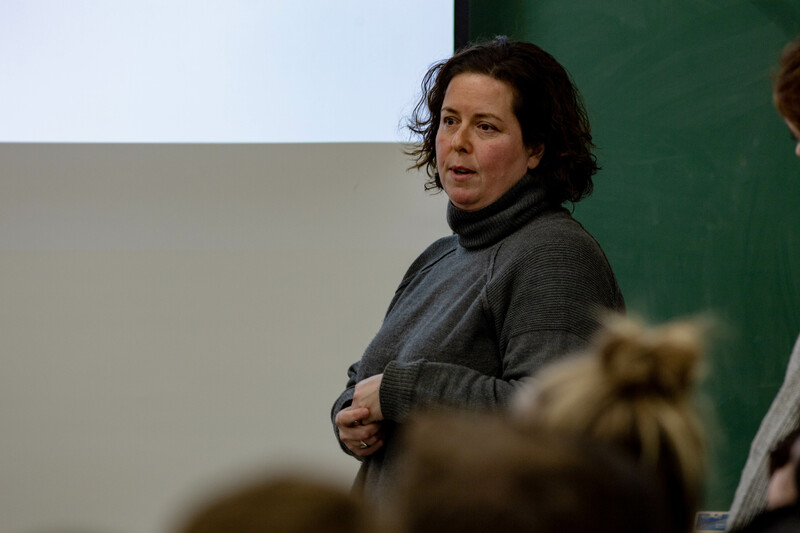 Sarah Rothman, the university’s student development coordinator, said counselling services have highlighted alcohol as a recurring issue within the student population. She told the council this includes mental and physical health problems in addition to social issues on campus. According to Rothman, most of the proposed standards are based off of a list of recommendations from Students Nova Scotia that took into account research from multiple Atlantic Canadian universities. The pre-consultation was meant to last a half-hour, but council members met even the supposedly non-contentious proposals with mixed views. SU vice-president advocacy Simal Qureshi said many students who don’t drink alcohol for personal, religious or medical reasons drink energy drinks at campus bars and events because “they get you more pumped up than water.” Qureshi said these beverages are usually the only non-alcoholic drinks widely available at all licensed campus events other than water. Some members of the council argued that the standard targeted Jägerbombs, a mixed drink that combines a shot with Red Bull. Others agreed that an all-out ban on energy drinks and caffeinated beverages at campus bars and events would only further ostracise the non-drinking student population. Another proposed standard would ban “games, contests, or activities that promote or encourage the rapid consumption of alcohol.” UNB has had a ban on drinking games for several years, but students have simply taken the games behind closed doors in residence or to off-campus parties. This new standard would also prevent the College Hill Social Club from selling shooter wheels (a wheel of fortune-type game where one spins a wheel and is given a shot recommendation or discounted drink). 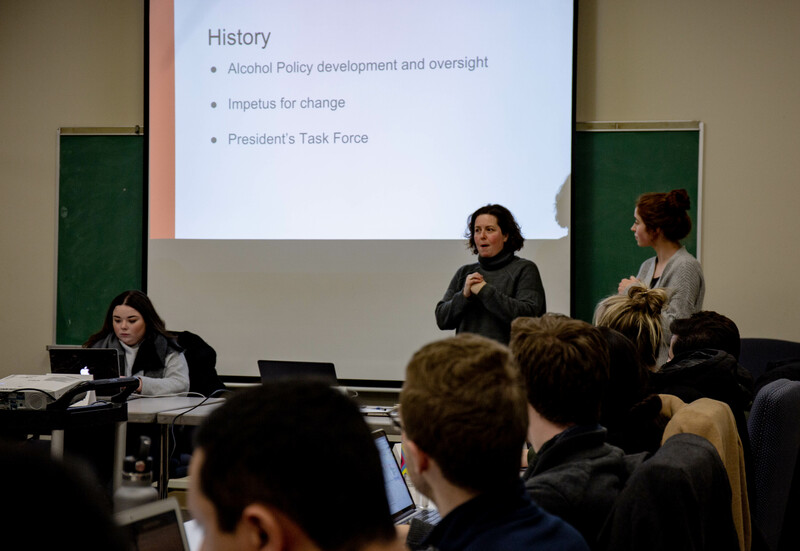 Several members of the council said restrictions on alcohol on campus drives students’ drinking underground, while others said the proposed guidelines would have little effect on student culture as shooter wheels at the Social Club are not excessively popular. However, pitchers – a highly popular order among visitors to The Cellar or the Social Club – were the target of another proposed policy. This restriction would limit the orders of alcoholic beverages at campus bars and events to two per person at a time, and require that pitchers and fishbowls be served to a corresponding number of people. This proposal was highly controversial. Council members expressed concerns that this would place an additional financial burden on students - pitchers are less expensive than buying several drinks - and wrongly require waitstaff to monitor the amount of alcohol each patron is consuming. Provincial law currently states that a licensed establishment cannot serve liquor to someone who is visibly intoxicated. Draft Standard M, which is the only standard that will not apply to both UNB campuses – it was specifically requested by UNB Saint John – states that the sale of shots and shooters will no longer be permitted at UNBSJ events or licensed campus establishments. The standard would also place limits on guests-per-person at events where liquor is served. 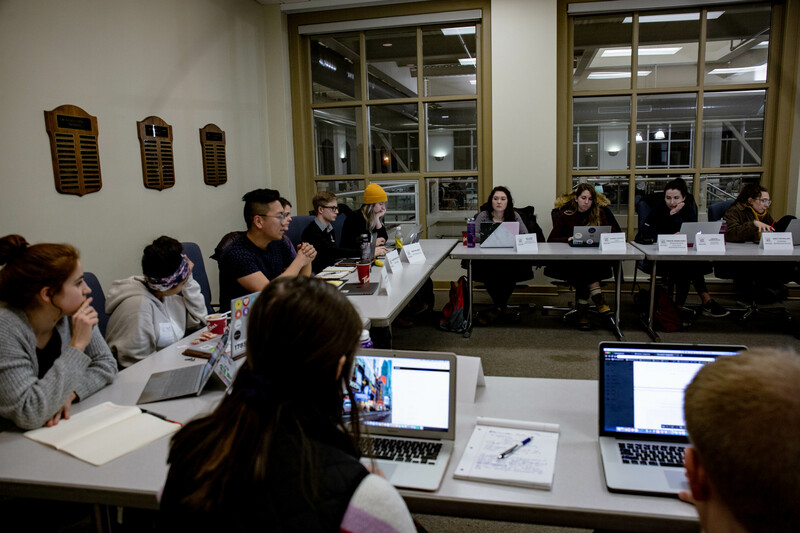 Though the proposed Standard M would not apply to UNB Fredericton, the council remarked on the fact that restriction of shots at campus bars and events could drive students to pre-drink in dangerous ways before events. Now that the student union council has provided comments on each of the suggested standards, the official consultation period will go forward.